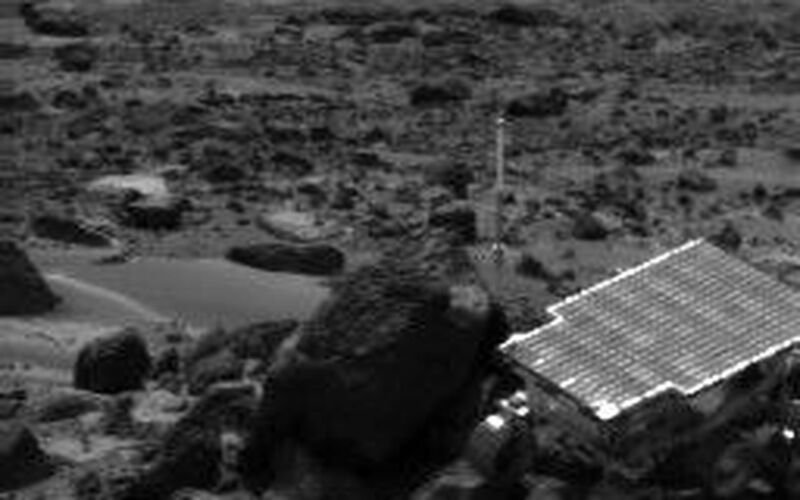 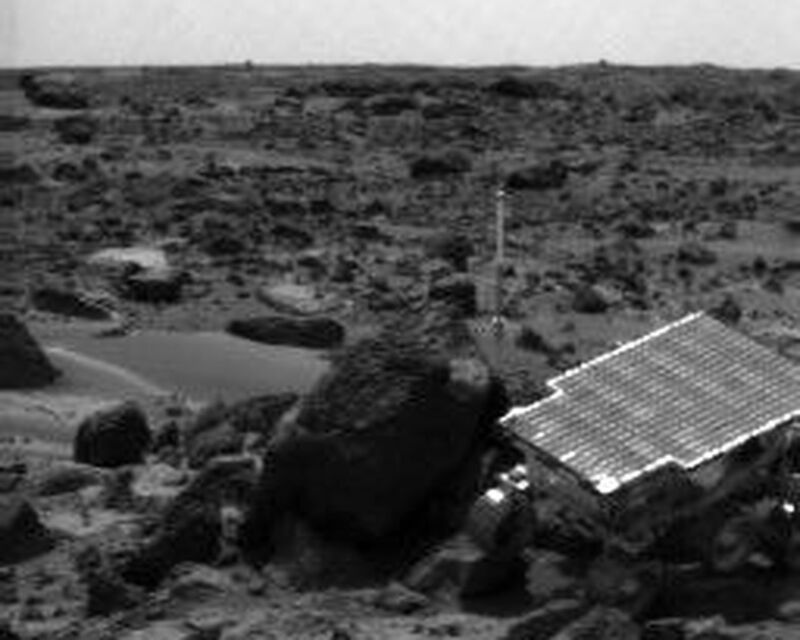 Sojourner Rover is seen traversing near "Half Dome" in this image, taken on Sol 59 by the Imager for Mars Pathfinder (IMP). 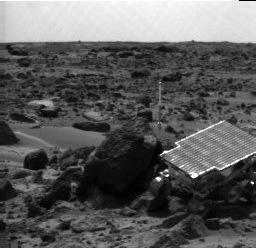 The rover's Alpha Proton X-ray Spectrometer (APXS) is the cylindrical object extending from the back of the rover. 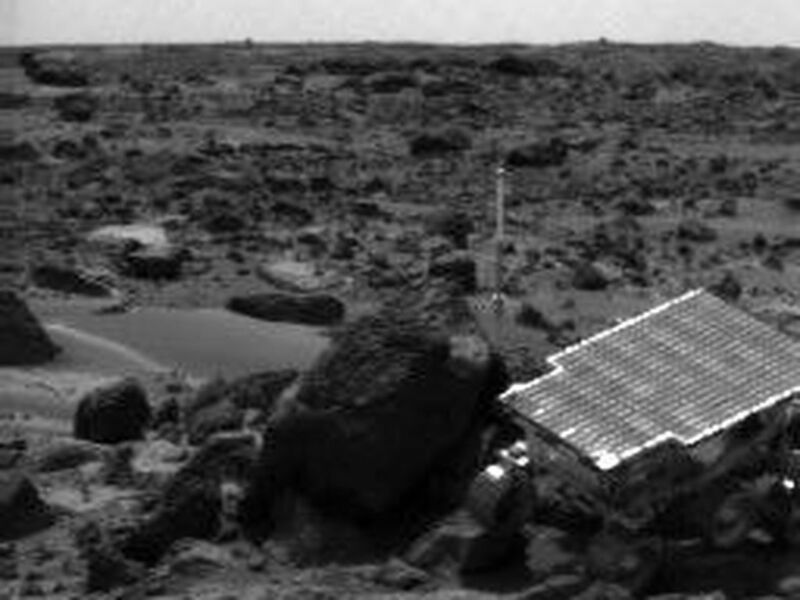 This image and PIA01559 (right eye) make up a stereo pair.